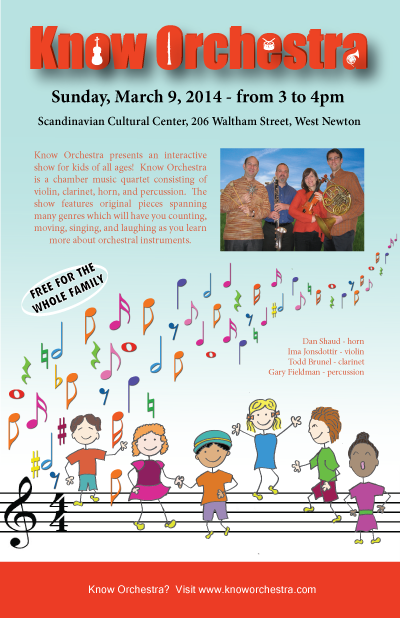 We will be performing our complete children’s show for free at the Scandinavian Cultural Center in West Newton, MA. 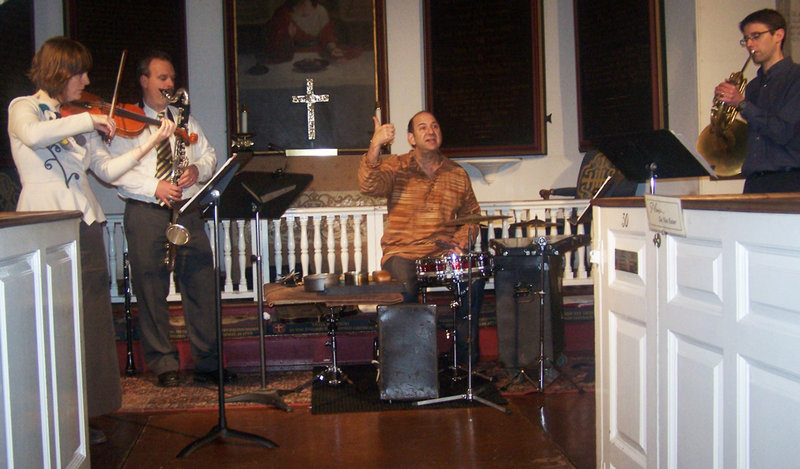 This will be a celebration concert for successfully completing our Kickstarter campaign and help us prepare to perform at nine Boston area schools. The show features original pieces spanning many genres which will have you counting, moving, singing, and laughing as you learn more about orchestral instruments.